Take a deep breath and get ready to regret every moment you spent not inventing video games. You may not know the name Markus Persson (or even his online alterego @notch) but chances are someone you know plays his game Minecraft. 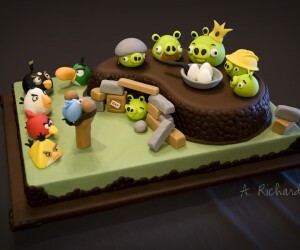 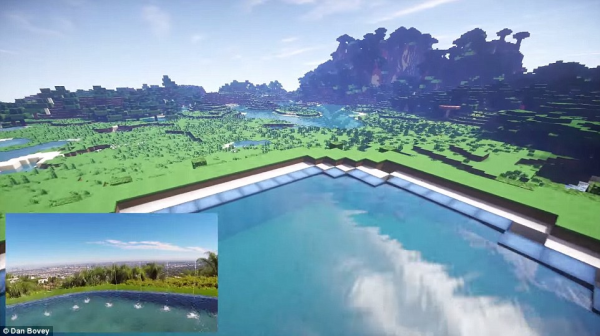 The game, as well as the company that birthed it, Mojang, was recently sold to Microsoft for a whopping $2.5 billion. Persson's net worth is estimated to be around $1.5 billion. 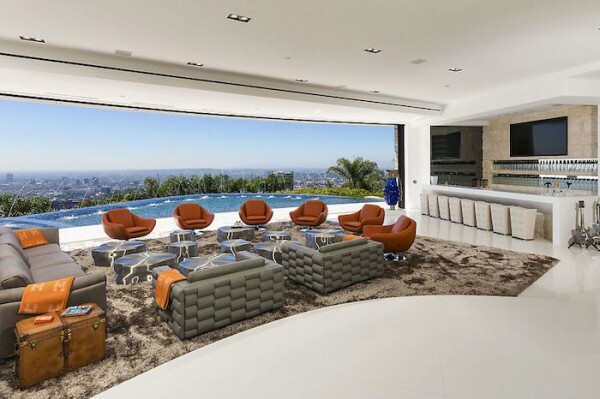 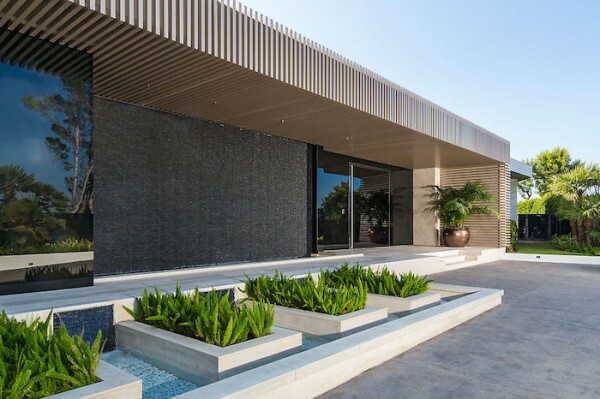 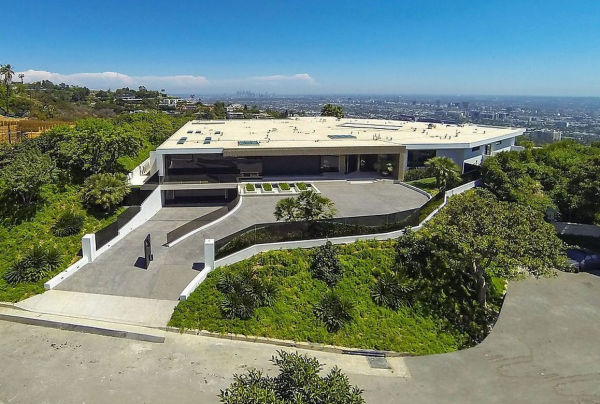 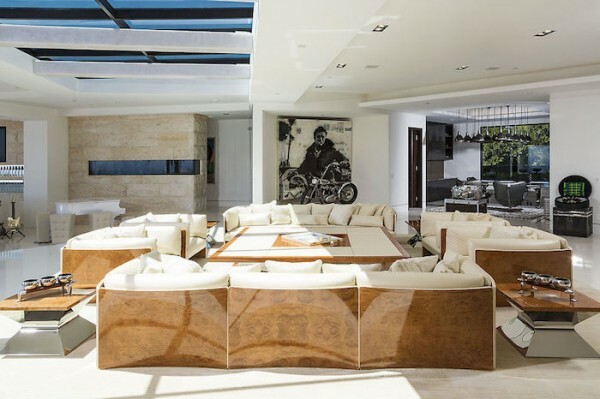 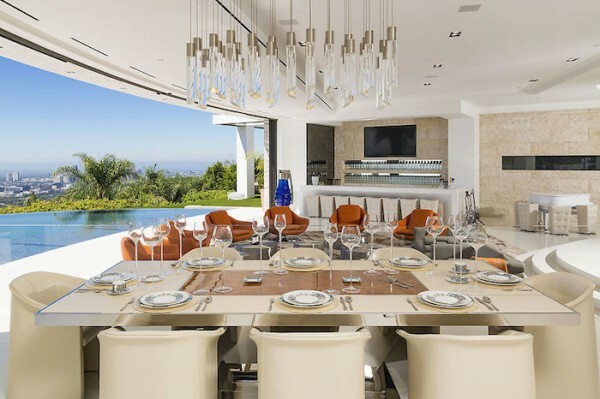 Of course, that means that it was no skin off his nose to spend $70 million on a new home, buying what is thought to be the most expensive house in Beverly Hills (which, as you might imagine, is no easy feat). 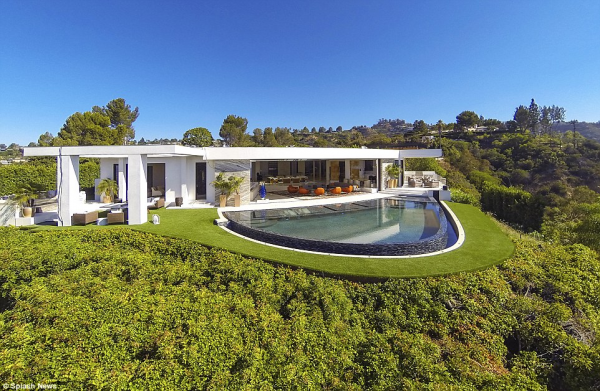 The hilltop house was said to have generated interest from many high profile buyers, including (allegedly) the King and Queen themselves - that is, Jay-Z and Beyoncé. Take a look inside this estate, which was sold with all the furniture and decor as part of the purchase price, and see if you think Persson got his money's worth. 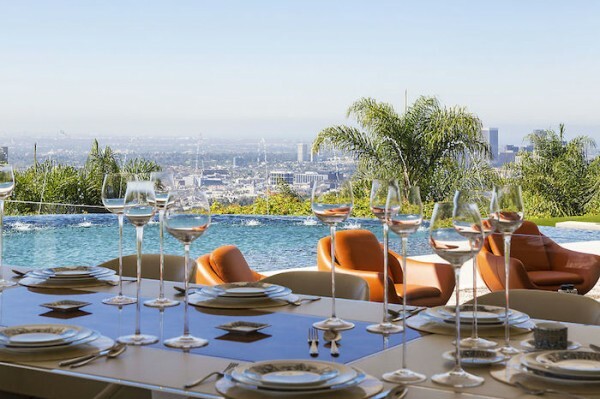 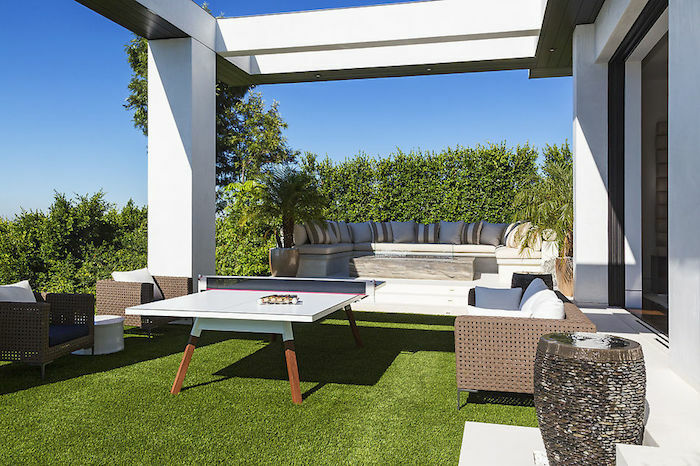 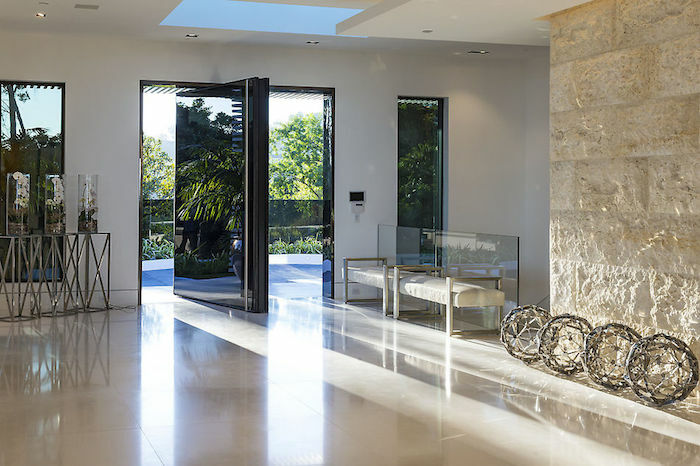 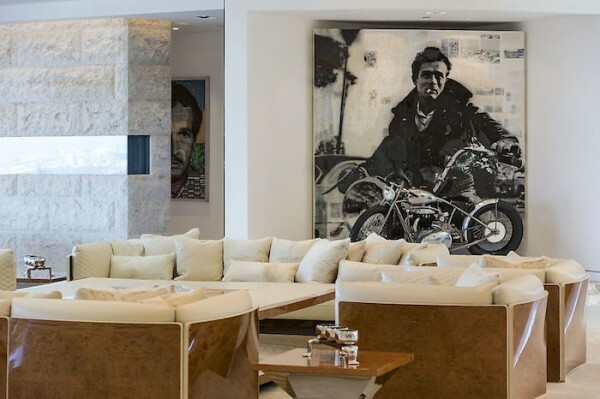 The home is located in the exclusive Trousdale Estates neighborhood where celebrity resident have included such luminaries as Elvis Presley, Frank Sinatra, Dean Martin, and Groucho Marx. 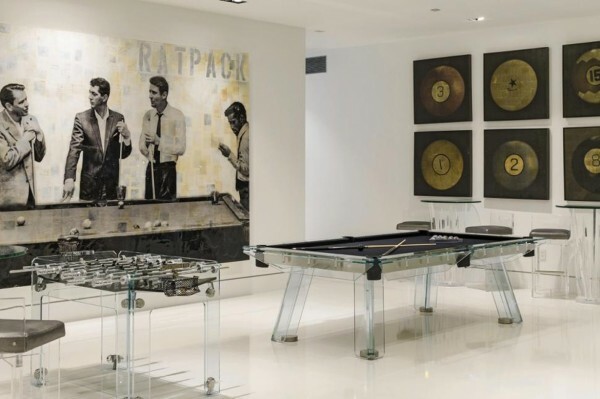 In fact, one of the many recreation areas in the house pays tribute to the areas Rat Pack roots with some swingin’ custom art featuring Ol’ Blue Eyes and pals. 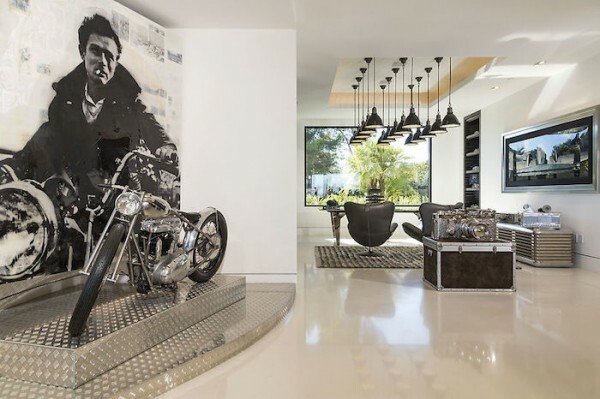 A custom replica of James Dean’s motorcyle is an easy way to put your machismo on a pedestal if you can afford it. 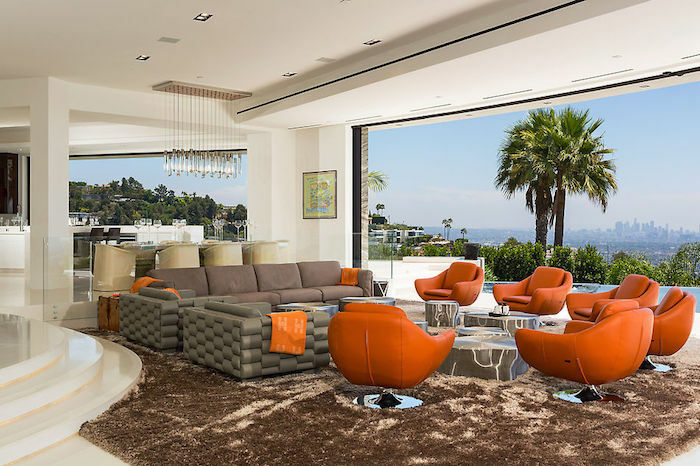 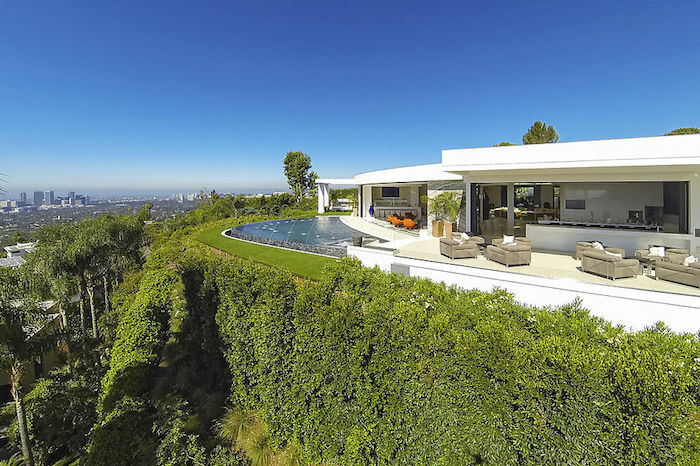 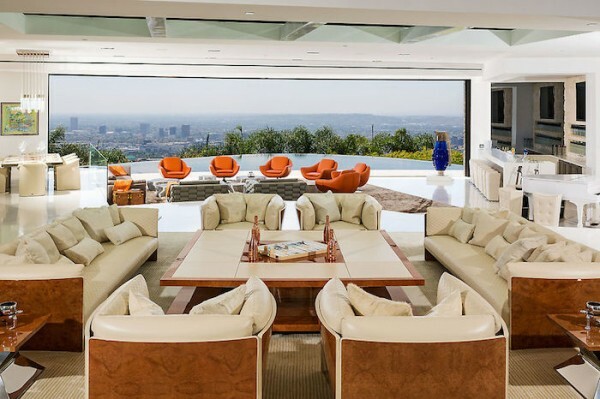 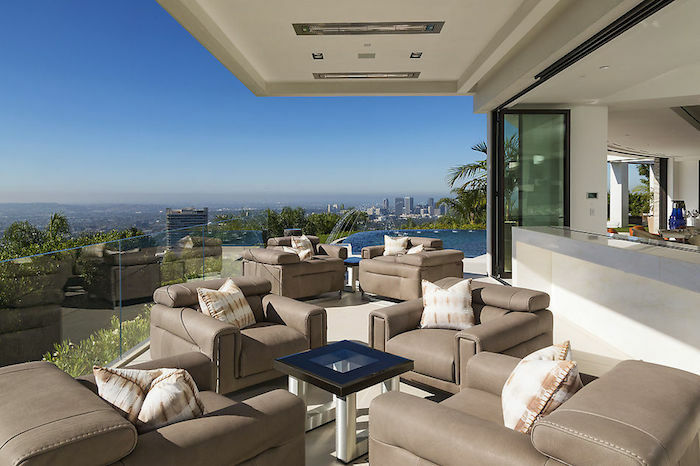 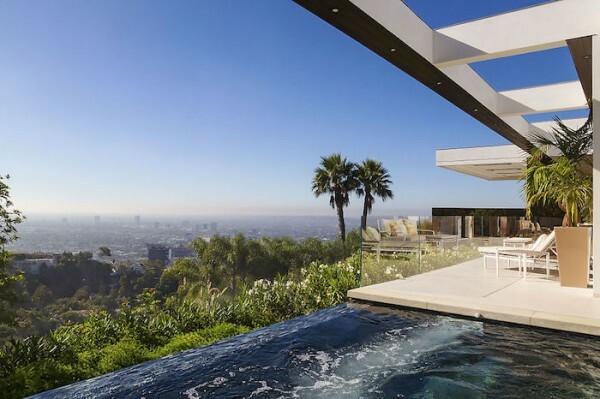 No California home would be considered luxury without some seriously spectacular views and this property certainly doesn’t skimp on that front. 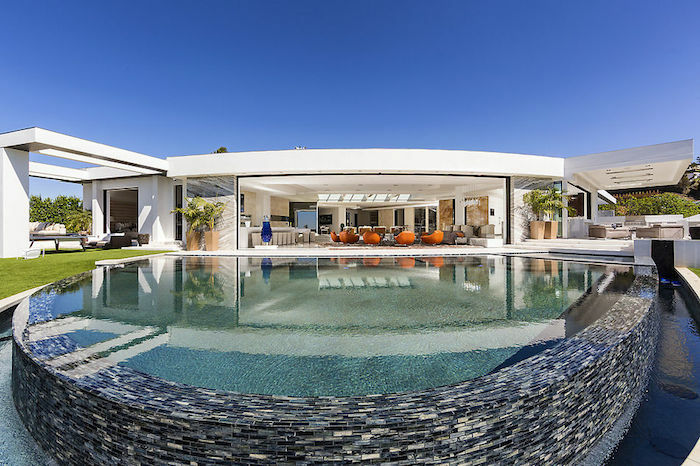 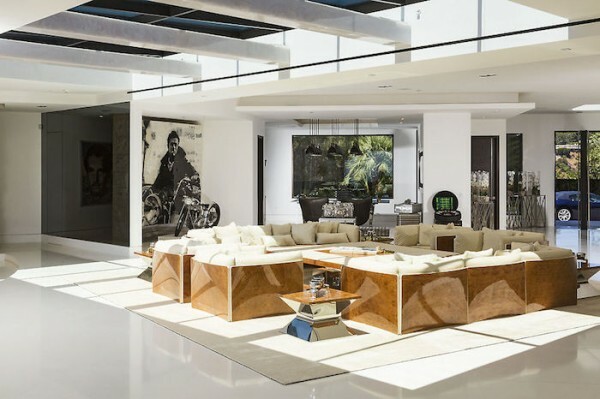 The spacious living area, which constitutes only a fraction of the total 23,000 square feet (2136 square meters) has a 54 foot curved glass door that opens out onto an obligatory infinity pool. 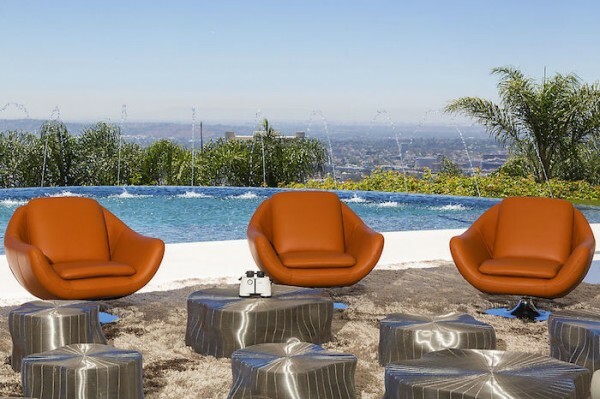 But this pool has something special by way of iPad controlled fountain displays, sure to liven up any party. 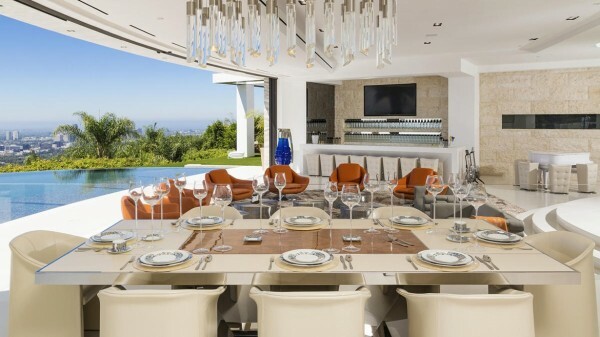 A custom formal dining table made from onyx seats 24, with each seat equipped with Roberto Cavalli place settings, each of which ring in at $3700. 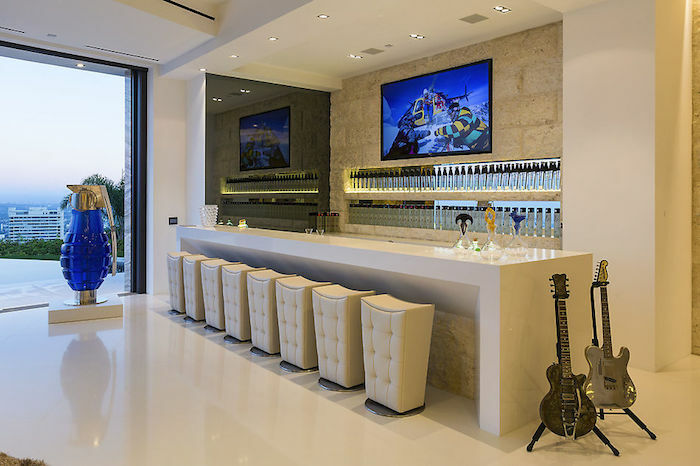 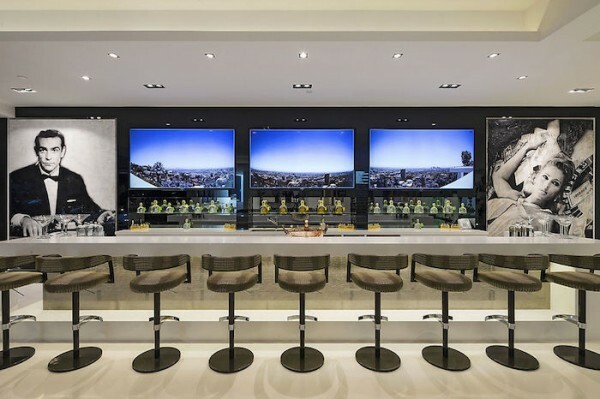 The house actually contains a separate vodka and tequila bar, making it a major entertaining destination. 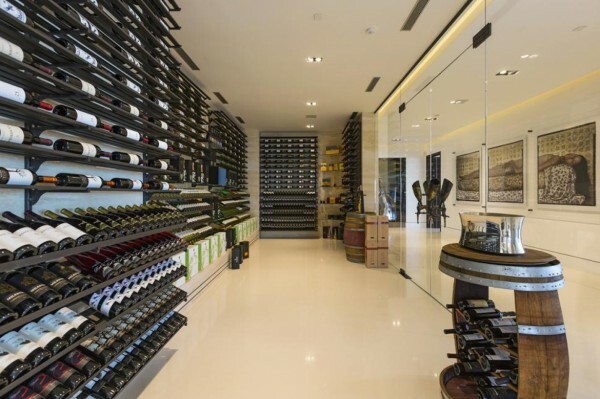 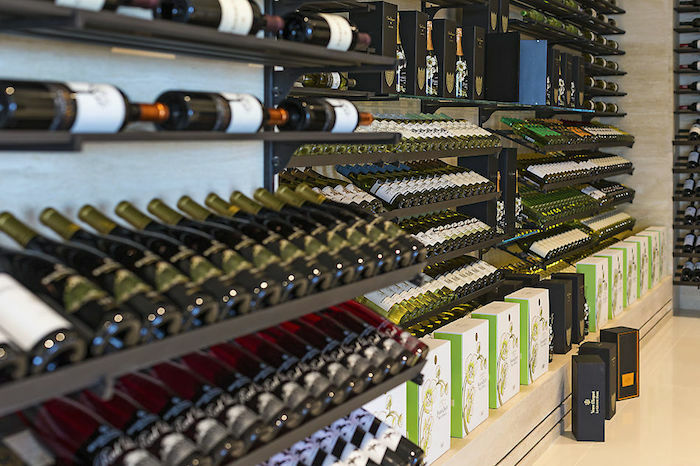 Mixologists are sadly not included, although a number of cases of Dom Perignon were part of the purchase. 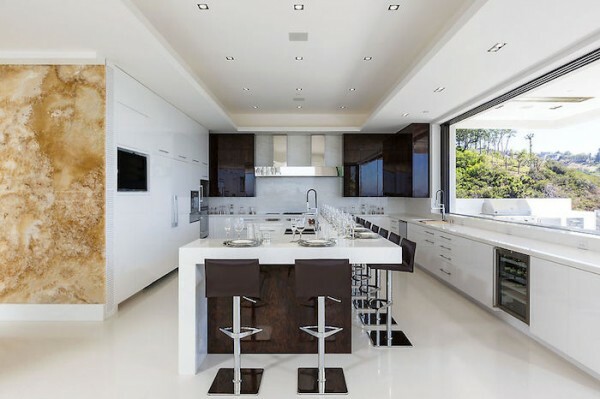 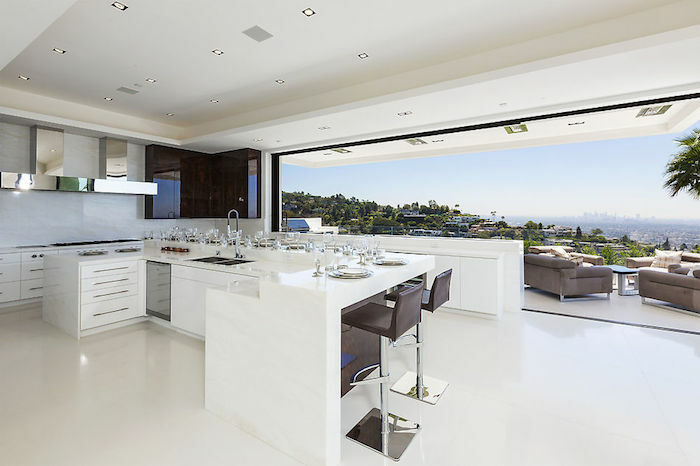 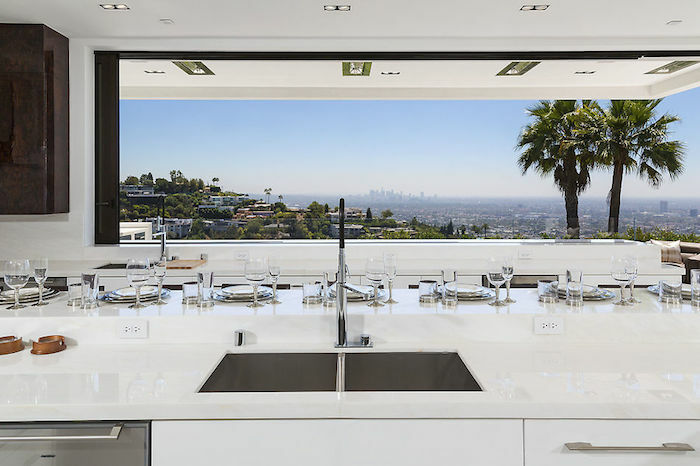 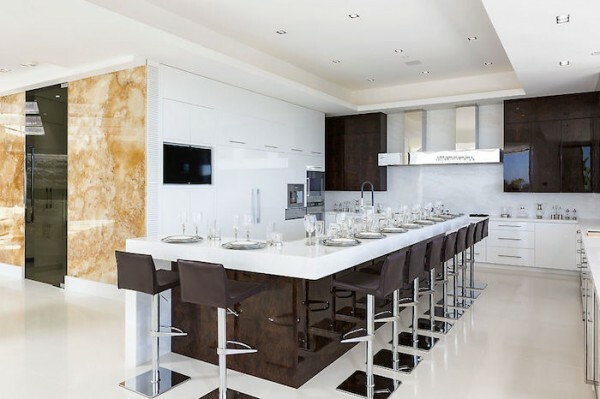 A crisp white kitchen area provides plenty of bar seating for casual dining all while taking in the same sweeping view, which on a clear sunny day (hardly a rarity in Los Angeles) can extend from Downtown Los Angeles all the way to the beaches of Santa Monica. 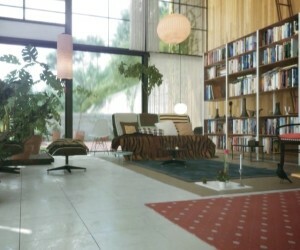 The downstairs lounge area is perhaps the crowning achievement of the home for a bachelor like Persson. 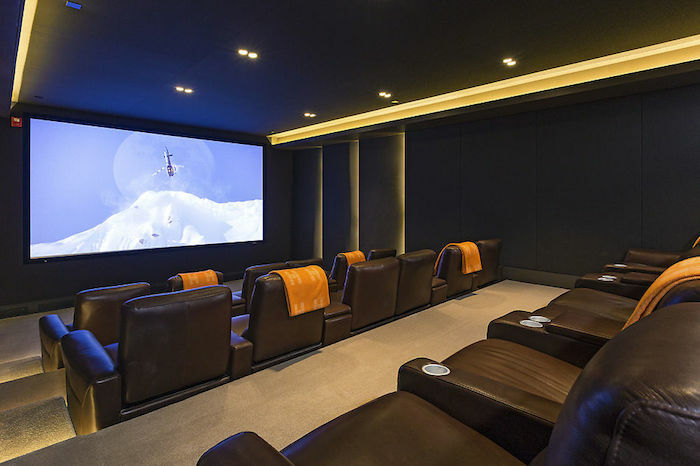 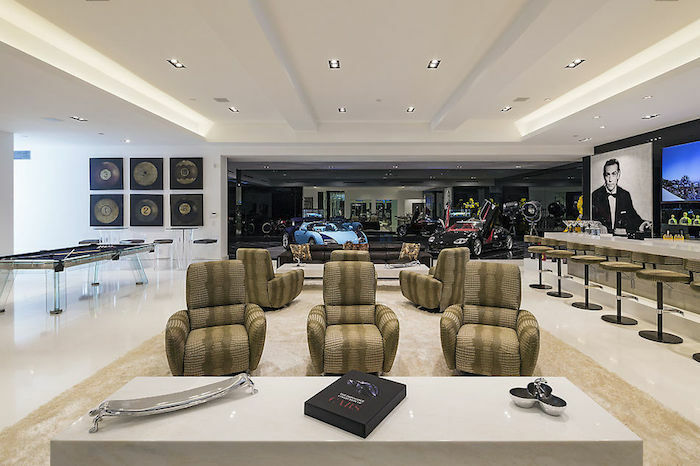 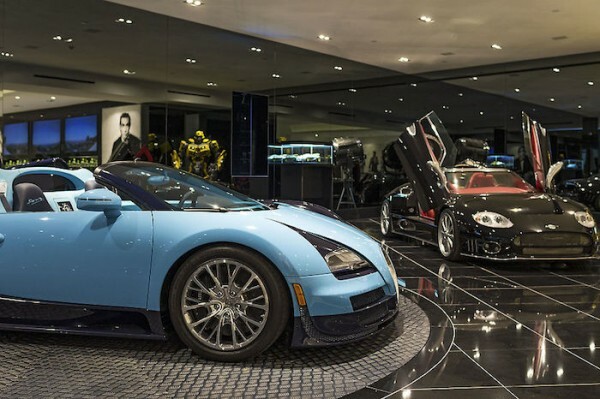 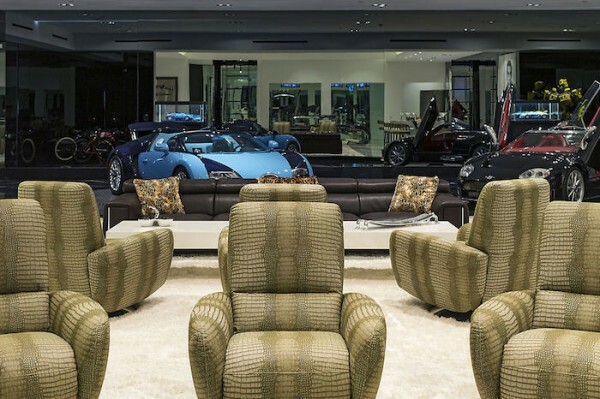 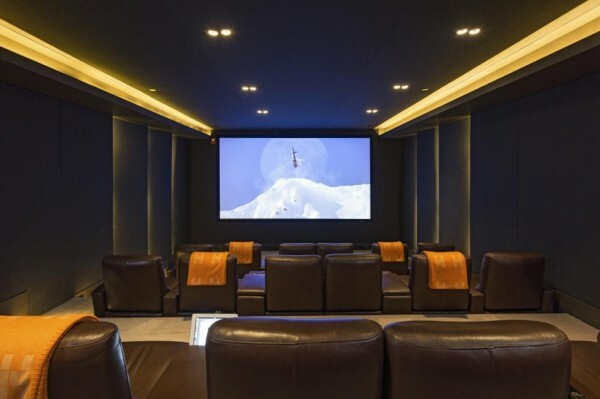 It provides not only an elevator display for a bevvy of luxury cars (also not included in the purchase price) but also an array of luxury recliners and high definition screens that actually display the view from upstairs. 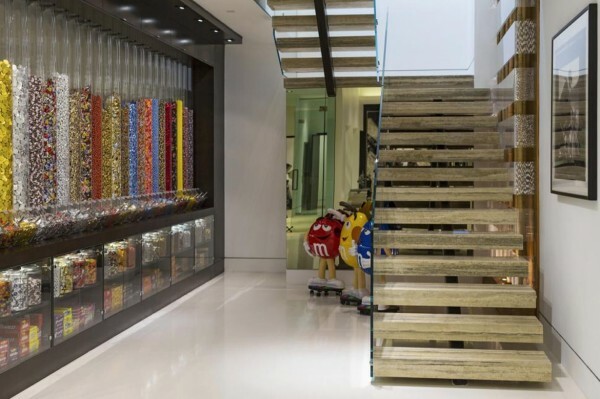 We also can’t forget the private candy nook at the bottom of the stairs. 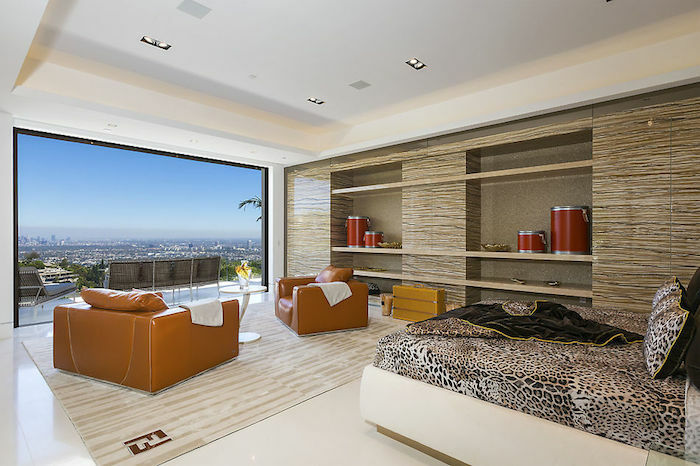 Each bedroom is fairly simple considering the decadence of the house. 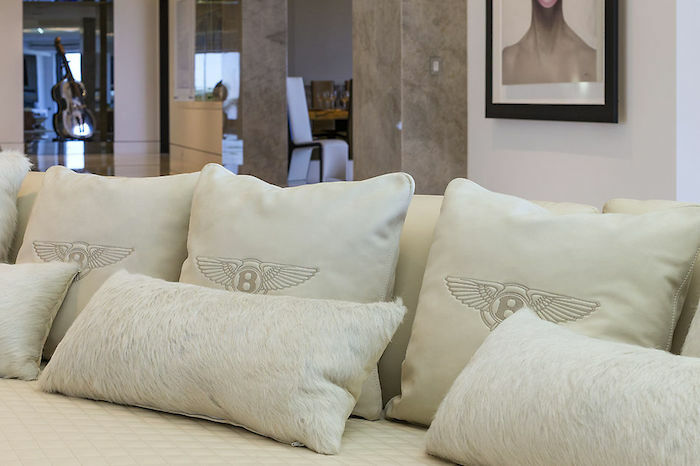 Huge, plush headboards combined with exotic, animal print linens are not exactly the height of sophistication but surely comfortable enough for any guest. Some rooms do have their own private balconies, and even baths that look out over the city for a really unique view. 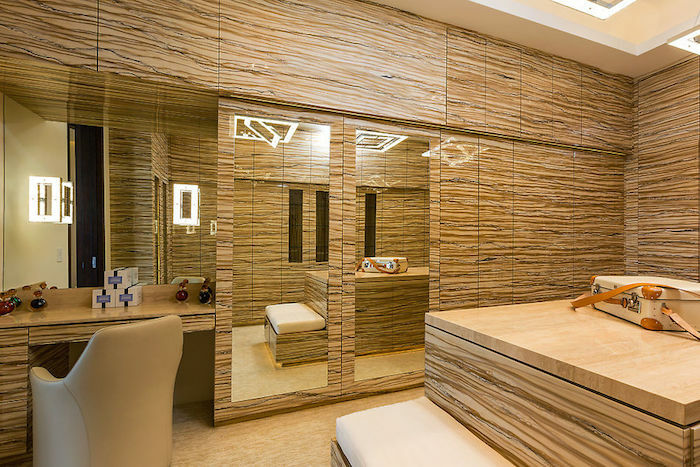 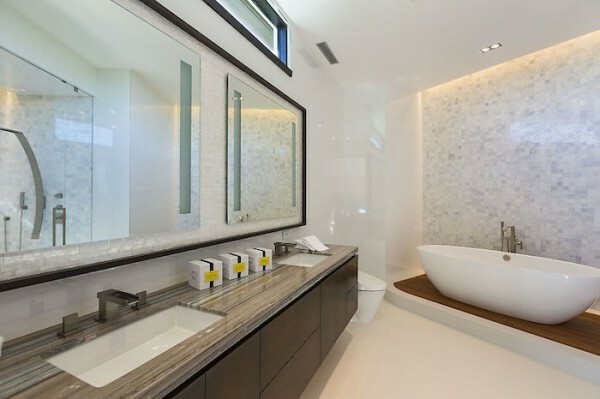 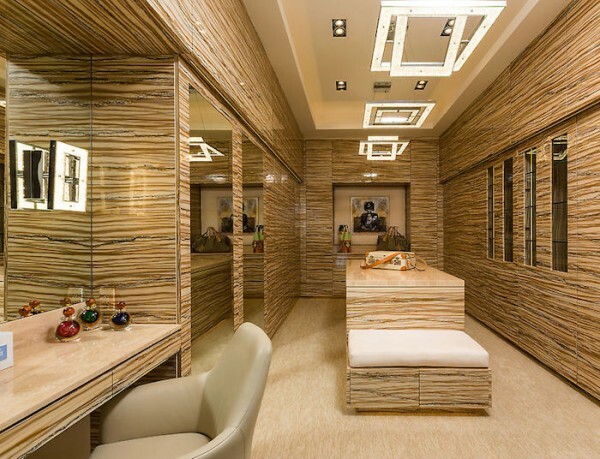 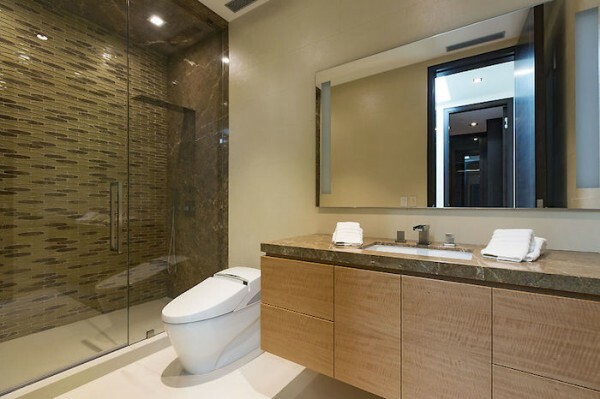 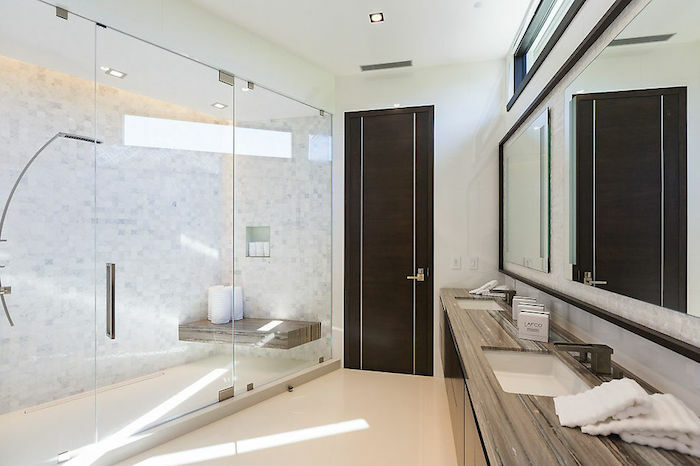 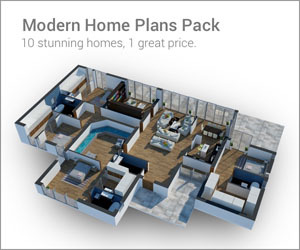 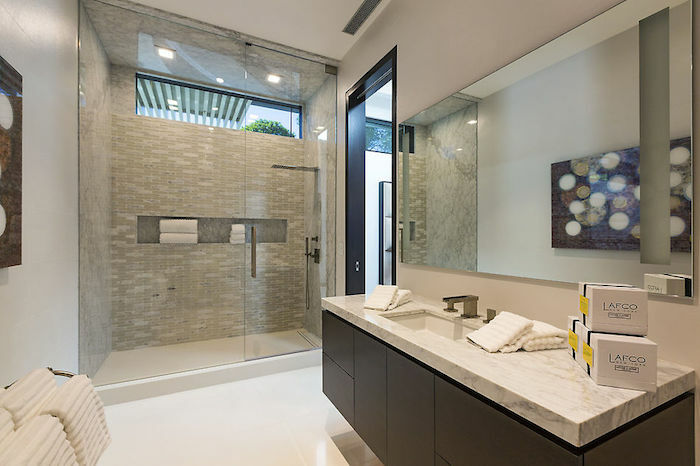 Of the 15 bathrooms (compared with just 8 bedrooms), each one is equipped with a state of the art $5600 toilet. 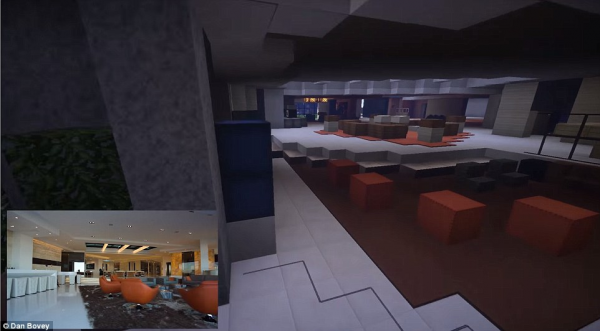 No word on whether those toilets will be programmed to allow users to play Minecraft on them. 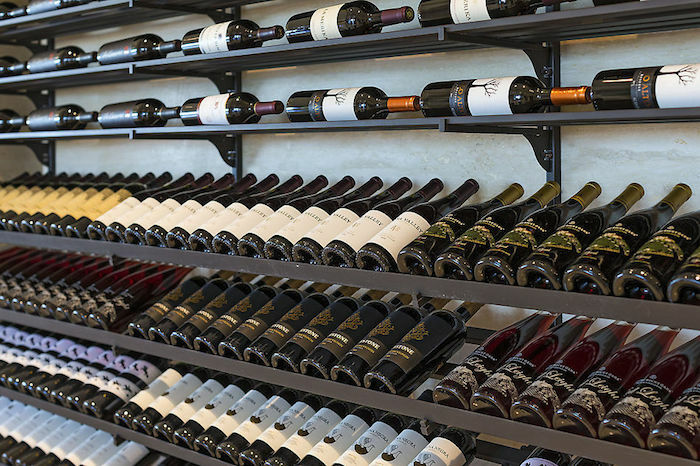 Round out the home’s amenities with a private screening area and fully stocked wine cellar and you have truly unlocked the luxury achievement. 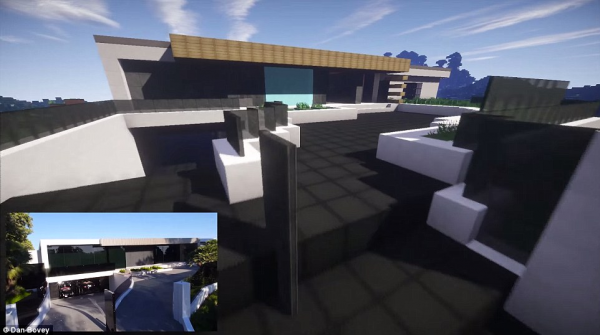 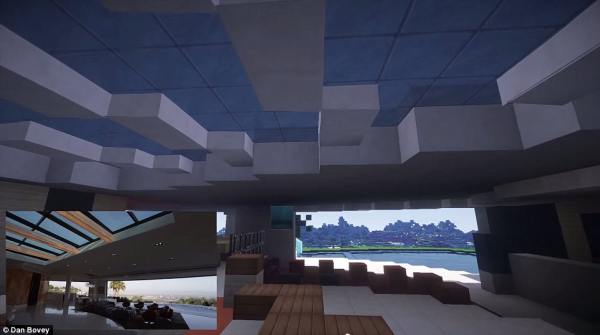 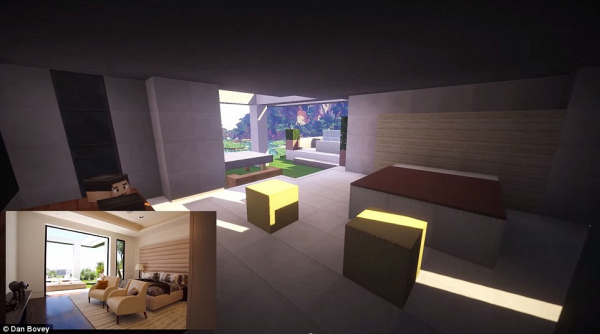 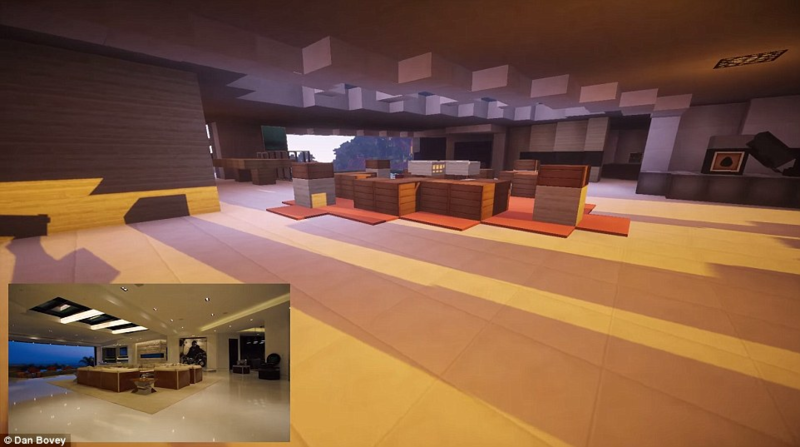 Now, just for fun, take a look around the replica of Notch’s house that one Minecraft user created in the game!